3SC are delighted to announce that we have been named as one of the top 100 social enterprises in the UK for 2019. 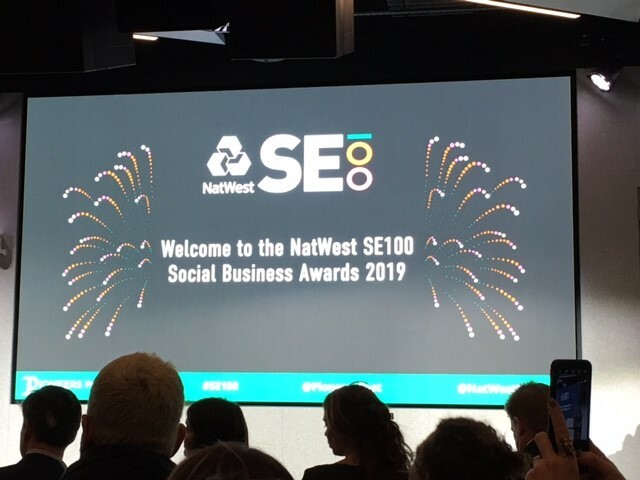 The Natwest SE100 index “names the most impressive 100 social enterprises for 2019” and awards are also given to the most outstanding achievers within the sector in seven categories including growth, impact, leadership and resilience. 3SC deliver a number of public sector contracts and our vision is to enable the third sector to deliver an ever-increasing share of public services by forming partnerships that win and deliver public sector contracts. We also provide support to increase the capacity of the sector and fight for issues on their behalf. 3SC presented position papers in both Westminster and the Welsh Assembly in 2018 outlining what we believe are the current problems with the public procurement process and what needs to be done about them. In March 2019, we launched a new rapidly growing membership offer that provides advice and support to improve social businesses and their success in winning and delivering public sector contracts. More information is available here. We also introduced several other new services in 2019 including bespoke IT portal solutions, consultancy and work-based assessments.